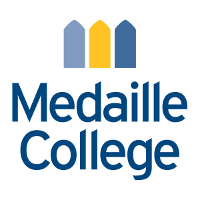 Medaille College is currently accepting applications for a full time, 12-month administrative position as an Academic Advisement Counselor in the Buffalo campus Academic Advisement Center which is part of the Student Success Center. Responsibilities include academically advising a caseload of 200 undergraduate students in various academic majors, support of special academic initiatives in the areas of retention, student development and student success. This position requires the ability to work collaboratively with various college offices/departments to help ensure student’s success and therefore requires some evening hours and weekend hours. Applicants must have a strong commitment to working in a small college setting and to the education of diverse populations, as well as an ability to work productively with students, and the ability to work effectively with others in a collegial environment dedicated to student learning. Qualifications: Master’s degree preferred in Counseling, Student Personnel, or related field. Applicant must have strong communication, organizational, and computer skills (proficiency in Word, Excel) and the ability to work with diverse populations, especially first generation and at risk college students. Experience in undergraduate academic advisement or academic counseling is desirable.